I'm leaving GDS this week so I wanted to let you know that Louise Downe will be leading the digital design community in GDS and across government. 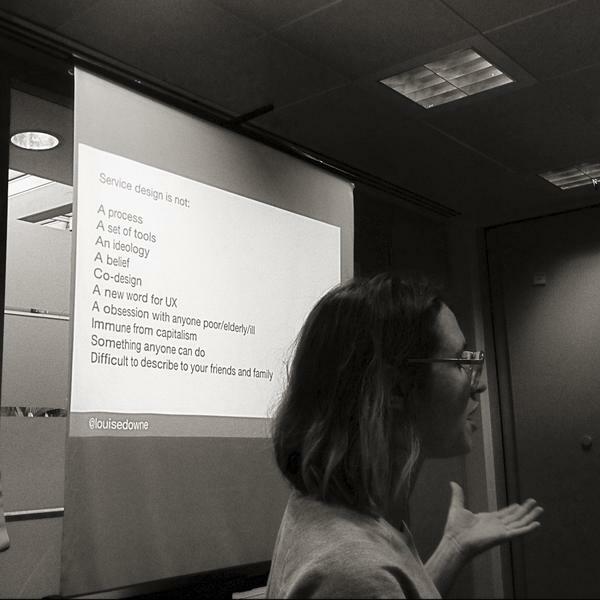 Many of you will know Louise already as for the last year and a half she has been running the service design bit of GDS, setting up service design as a specialism across government. Service design is vital if we are to redesign government services around the user. It's a relatively new discipline and there is much confusion about what it means. Louise has led the way in defining, in the open, what it means for government and the wider design industry. Her blog post 'Good services are verbs, bad services are nouns' describes what public services might look like in a world of government as a platform. In 'Better services with patterns and standards' she sets out how we're starting to deliver that as service patterns and standards. Louise will direct the digital design community across government which now has over 200 designers supported by 6 heads of design in departments working hard to make services simpler for users. Within that group Mark Hurrell continues to lead the publishing design team working on GOV.UK and Tim Paul continues to lead our work on design patterns. Wendy Coello will be responsible for oversight of design as a member of the Executive Management Team at GDS. Wendy and I have worked side by side for the last three years and she's always been a huge supporter of the design community. She and Louise will be working very closely together.